Mt. Ararat sweeps team titles in Farmington. FARMINGTON — There was music. There were conga lines. Teams sang “happy birthday” in the middle of an after-race pasta dinner. The Mt. 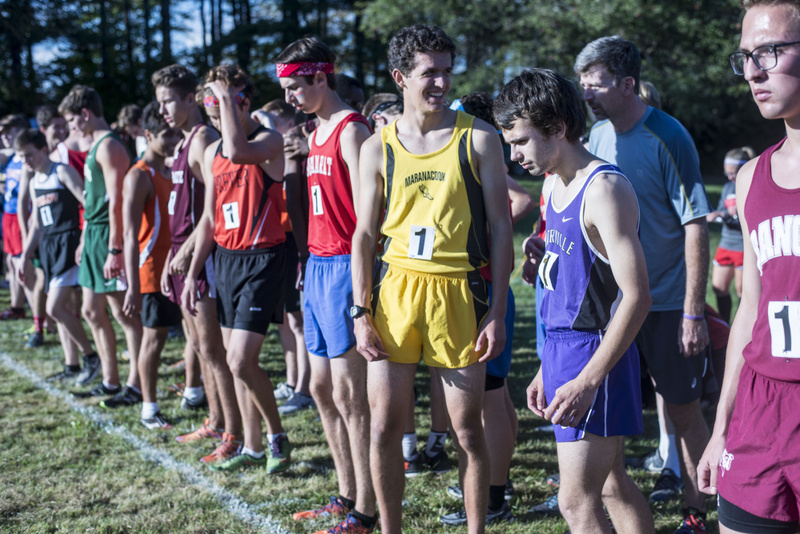 Blue Relays redefined friendly competition Friday, as cross country runners from 13 different schools took part in one of the final competitions prior to conference, regional and state meets. Mt. Ararat took advantage of great weather on the course by sweeping the team titles, with a combined time of 58:55 in the boys race and 68:35 in the girls race. The Cony boys finished third in 60:11. Caleb Richardson, who finished fifth overall with a time of 11:25, paced the Rams. Totman is also pleased that his Rams will enter championship season healthy. The Mt. Blue boys finished fourth (60:32) thanks to Sam Stinson, who finished 10th (11:43). On the girls side, Maranacook had a strong day, finishing second with a time of 69:48, with Mt. Ararat tallying a time of 68:35. Molly McGrail had the best individual time for the Black Bears, finishing at 12:59. It was the best time by a sophomore girl, and third best overall. 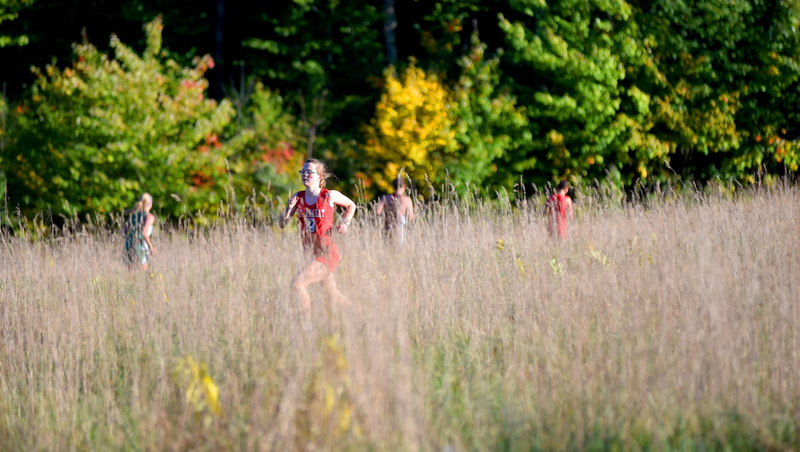 McGrail’s teammate, Lauren Parent, finished seventh (13:36). Mt. Blue’s Kathryn Cullenberg placed fifth (13:28) overall. The top female time went to Mt. Ararat’s Katherine Leckbee, with a time of 12:36. Bangor’s Gabe Coffey had the top boys time, at 10:45. Finishing second was Waterville’s Nick Dall (10:51). Maranacook’s Luke Bartol finished seventh (11:34).